Unless you live in a cave or happen to be stranded on a remote island in the Pacific, you’ve felt the excitement mount as Suzanne Collins’ trilogy, The Hunger Games is catching fire—which, incidentally, is the title of Collins’ second book. In Collins’ futuristic tale, North America (now called Panem) is divided into 12 Districts. In this cruel, dictatorial society, two teens (tributes) from each district are forced to fight to the death in yearly televised Hunger Games. The film features Jennifer Lawrence as Katniss Everdeen and Josh Hutcherson as Peeta Mellark, two tributes who pit their skills against other teens to survive. Once selected by weighted lottery, each of the 24 tributes are trained for combat and groomed for live TV. The Hunger Games obsession knows no bounds as fans imitate Katniss’ head to toe cosmetic preparation for the games. Yes, there are sites devoted to Hunger Games outfits, Hunger Games accessories, a YouTube video on how to create the flame-art Katniss had painted on her fingernails before her pre-game televised interview, even a Katniss hair braid tutorial. 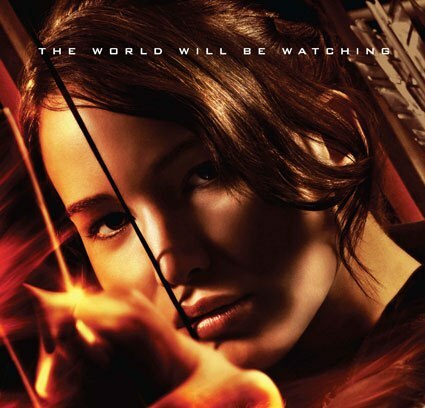 The buzz on Hunger Games is so hot that fans are already clamoring for the second film, Catching Fire. If you’re not already a “Gamer,” you will be after reading the first book and watching the film.